Well, it's a pretty well known fact that Knott's Berry Farm is removing their Windseeker attraction from the park. We've talked about this topic before on a previous post if you need to catch up real quick check out: Cedar Fair Moves a Windseeker- The Media goes Stupid. 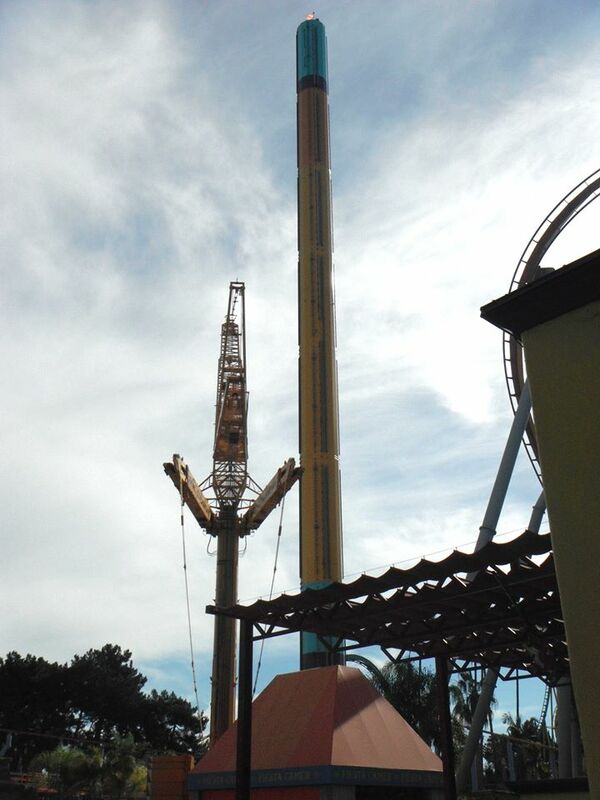 It seems that parts of the Knott's Windseeker are finally coming down. The rider carriage is off and the top sections are slowly being removed from the tower. This ride is being shipped out to Worlds of Fun in Kansas City, Missouri and being re-named in the process. This ride will no longer carry the well known 'Windseeker' name and will now be known as "SteelHawk".